1. Intergenerational traumas are highlighted in this memoir. Which ones did the author pass down to her children, despite promising herself as a young girl that she would never repeat the same dysfunctional patterns? 2. The Adverse Childhood Experiences Study (ACES) was introduced in the beginning of the book, which demonstrates the proven causal relationship between early toxic traumas experienced by infants and children and a variety of resulting health conditions that often appear later on. Had you heard of the ACES? Discuss reasons that some children impacted by them while others appear to be unaffected. 3. The author’s mother requires absolute control over the author’s relationships with her siblings, and later, with the author’s father. How might that have impacted the author’s choice when she chose a partner? What options do young women today have that did not exist for most who were raised before the 1970’s? 5. The author meets her father when she locates him through an attorney. What admission did he make that redefined the author’s view of violence within families? 6. It’s not uncommon for friends and family to wonder why a victim would stay in an abusive relationship. Discuss why focusing on the victim’s choices is counterproductive. 7. The author left her husband and did not return to him. How did the abduction of her daughters four years later reframe the question for you of Why does she stay? Who paid the price of the author upturning her ex-husband’s sense of control? 8. 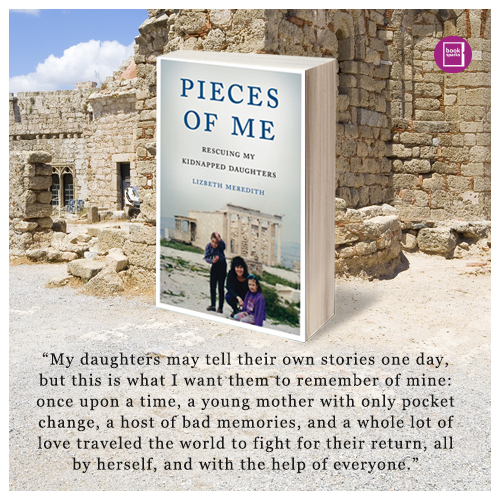 After her girls were kidnapped, the author was warned that “Greeks stand up for Greeks” and to expect nothing but barriers when she went searching for her girls there. Discuss the author’s growing community of support in Greece that contradicted the prior warnings. 9. In Anchorage, Alaska, the author’s support network was made up of friends and strangers alike, people who helped provide emotional, financial, and legal support. How do you think the author would have fared without them? Discuss some of the factors you believe inspired the outpouring of help. 10. All of us have survived a trauma in our lives. Have you ever received unexpected support during yours? How did that change you?